Therapak offers two pre-filled 24 hour collection containers for remote site collection and subsequent confirmatory laboratory testing. 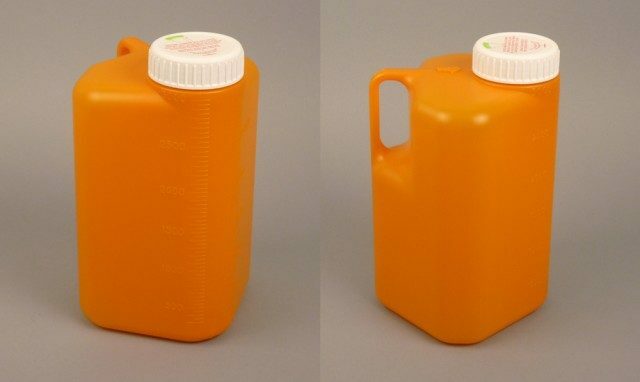 Each three liter container is pre-filled with 30 mL of the preservative which will be refrigerated and mixed throughout the duration of patient collection. Upon completion of the collection cycle, laboratory procedures will specify what the patient will use as a pour-off container in order to retrieve a representative sample of the 24 hour collection at the laboratory for testing. As indicated on the provided container instructions, the patient or acting physician will not send the entire container to the laboratory. 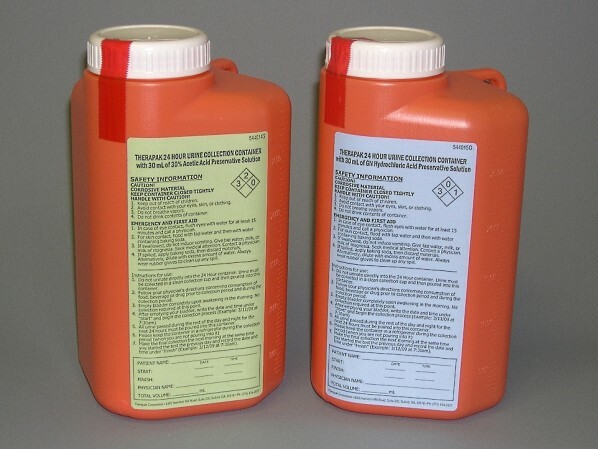 Typically, a 90 mL specimen container (see #74966G below) will be provided by the laboratory in addition to these pre-filled 24 hour containers to insure the pour-off process is acknowledged by the patient or acting physician. It is also recommended that the laboratory provide a basic urine collection cup with the pre-filled containers for the collection process. 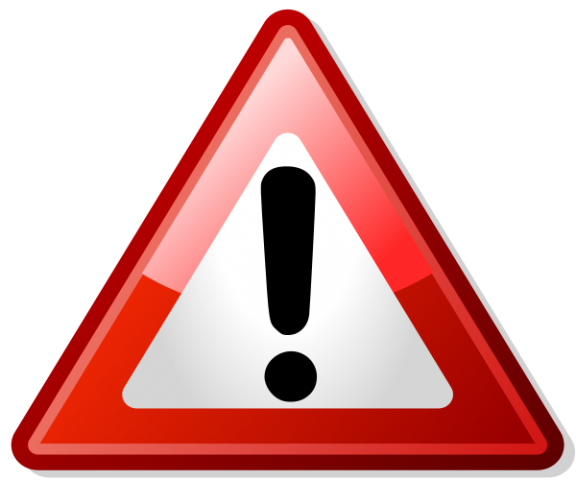 It is not recommended that the patient void directly into the 24 hour collection container due to the preservative acid content inside the container. The patient is encouraged to void into a separate (beaker style collection with pour spout – see #74850G below) cup and pour the contents into the 24 hour collection container during the collection process. 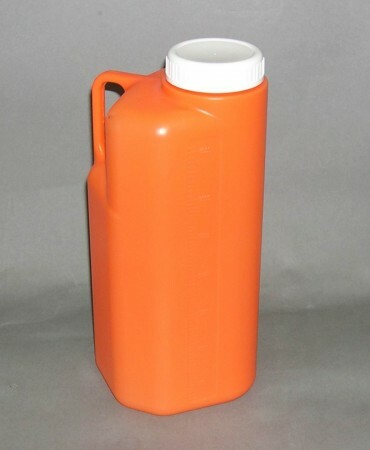 Container is manufactured using 100% virgin, chemically-resistant, UV filtering medical grade plastic. This container is free of metals, latex, fluorescence and is resistant to reagents that may be used to preserve specimens. The compact, slim design allows convenient refrigerator storage and easy handling when stored in lock boxes. The closure system (cap and liner) has built-in features to prevent leakage and maintain the integrity of the specimen during collection, transport and storage. Therapak’s 4 liter (4000 mL) 24 hour collection container features an innovative, leak proof cap liner, large opening and pop-up spout. The pop-up spout makes pouring-off specimen directly into primary testing and transport vials easy. 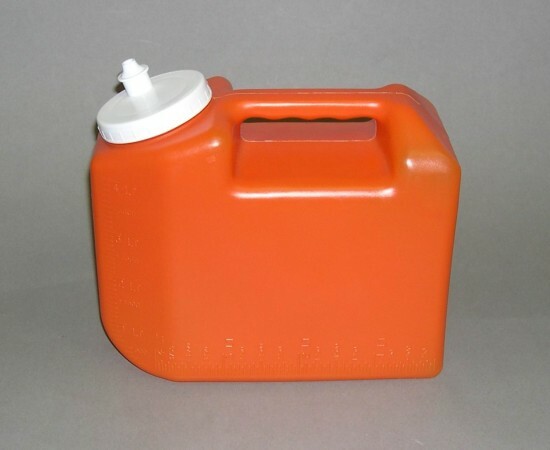 The container is resistant to Hydrochloric Acid (HCL) preservative solutions and can be stored frozen. This unique new product solves an old problem. 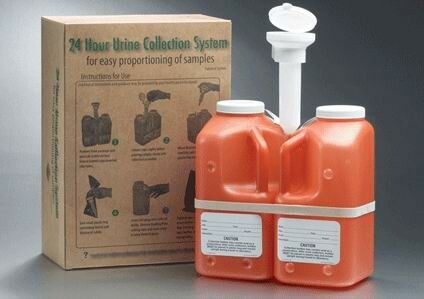 UrineTime is a 24 hour urine proportioning system for the automatic division of samples into two separate containers for assays. Available in either pre-assembled kits or bulk packages. Therapak 24-Hour Urine Collection Containers are not recommended for air transport or ground carrier transport when filled with liquid. Therapak recommends pouring off into a leak-tight 90 mL type container (refer to Part No. 74815) following the 24-Hour collection period and transporting the container in compliance with applicable air and ground transport regulations.